A girls’ trip to Klosters is the perfect detox from the stresses and demands of work and home. Enjoy the sunshine, pristine pistes and the tranquility of the mountains with a mini break to this picturesque Alpine village. 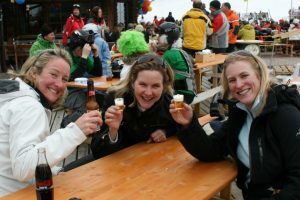 With PT Ski you can be in no better hands and we will tailor your girls ski weekend to your exact requirements. We will pick you up from Zurich Airport and drive you up to Klosters (journey time just under 2 hours). We will assist with your check in to the hotel, take you to the ski shop and pre-order your ski passes to avoid unnecessary queues. Our piste hosts will show you around the slopes to avoid you wrestling with piste maps and they will make sure that you stop at charming restaurants for coffee stops and lunch. If you would like tuition or go off piste then we can make those arrangements too. We will make sure you make the most of your precious time away. 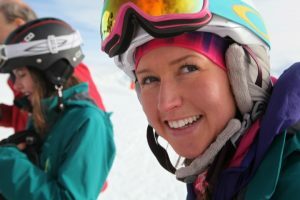 Combining skiing with spa is an enticing combination and if you would like to spend an afternoon or two being pampered and spoiled then we would be delighted to put that together for you. Several hotels have spa and ‘wellness’ facilities and we can advise you as to which will be best for your requirements. A girls trip is all about you, and you being able to relax, chat with your friends and get nice skiing. We will make sure you get just that and to find out more about how blissful this trip can be then call us and we will be thrilled to tempt you with everything that can be done.